Ara Katz, Raja Dhir and Jenna discuss how Seed is redefining health by helping us utilize our microbiome as a lens to not only improve our health but to recognize our interconnectedness with each other and the planet. 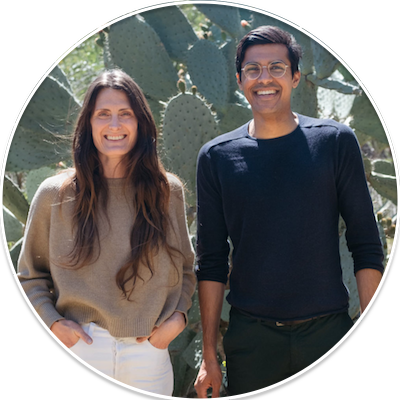 Ara and Raja give us a primer on what we need to know about our microbiome, the impact its wellbeing has on our health, and share six strategies we can start practicing today to increase our gut health. We also discuss Seed’s efforts to equip a global community with the knowledge and tools we need to be citizen scientists so we can better understand how our actions influence our ability to live our most healthy and fulfilled lives. Try to eat more than 30 different fruits and vegetables in any given week. Recent studies on the diversity of plant intake have shown that people who had the highest levels of diversity in their diet, versus those who had less than 10 plant items in a week, had greater health. There is a negative relationship between the effects of animal protein (excluding fish) on the microbiome, through the production of secondary metabolites and compounds that can increase your risk factor for heart disease and colon cancer. Red meat is far worse than other types of animal protein. The elimination of sugar and processed sugars is probably one of the largest impacts one can make. Exercise is incredibly protective, with a small exception of very high intensity training. Having a dog, because it results in the pollination of different species between different family members.